The Andaman and Nicobar islands located in the east of the Indian mainland geographically ,float in splendid isolation in the bay of Bengal.The island is covered with the dense rainfed, evergreen forests and endless varieties of exotic fora and fauna .the Andaman is consists of about 550 islands, 28 of which are inhabited , the Nicobar comprises 22 main islands, in which 8 are inhabited. The Andaman and Nicobar are separated by the Ten Degree Channel, which is 150 kms wide.the Andaman and Nicobar is considered as two of the 218 endemic bird area of the World. As many as 270 species and sub species of birds have been reported existing in these islands.there are about 96 wildlife sanctuaries, 9 national parks and one biosphere reserve in the islands. Andaman and Nicobar islands are developing into a major tourism hub with exotic looking beaches and pristine islands, having wonderful opportunities. for adventure sports like snorkeling and sea walking. these islands are covered with lush green forests and endless varieties of flora and fauna. Andaman and Nicobar offers an exotic vacation within the country. they are for everyone who is looking for a peaceful stay and lot’s fun of the beaches. Adventure lovers would particularly love this place. Andaman is the perfect tourist destination for those who look for tranquil vacation break, it is imperative to choose a spot that is located right in the middle of the nature.Nature is that place which gives travelers to all kinds an inexplicable comfort,that cannot be found elsewhere.It absorbs all tensions and transports the one to heaven on earth likely the Andaman and Nicobar is exactly what the one is looking for vacation break to indulge in the lap of the nature undoubtedly. Andaman and Nicobar Islands is a year round tourist destination .The area receives minimum fluctuation in the temperature and is always pleasant. Best time to visit Andaman and Nicobar Island is considered from November to mid May . The islands are blessed with both South - West and North - East Monsoons ,Monsoons are however recommended to be avoided because of high tidal waves,incessant rains,and strong winds. Andaman is the perfect tourist destination for those who look for beaches to enjoy out from their busy schedules . The place has all what is required for a perfect holiday . from those white sandy beaches and breathtaking sightseeing spots to water sports.the place offers everything. 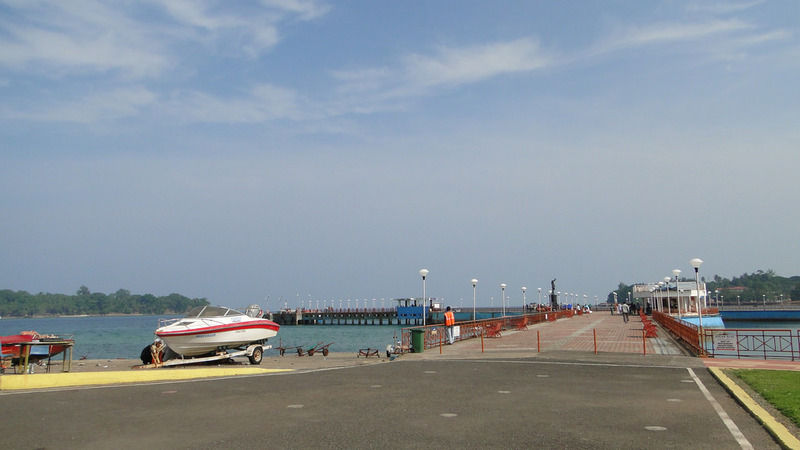 Port Blair is the capital of union territory of Andaman and Nicobar Islands. It is located on the east of south Andaman islands. Havelock Island is home to Radhanagar beach. One of the most popular beaches in India. There are a huge no of activity that can be done like snorkeling , boating, fishing etc. The beach is especially popular for couples as it is almost vacant and the serene environment adds to the romance,the sunset at this beach is marvel to behold. Easily accessible from Port Blair , the beach is famous for its sparkling white sand which shine below the crystal clear water. the beach is rich in coral reefs and known as coral kingdom snorkeling and scuba diving are the most famous water sports here . Elephant Beach is beautiful place to visit. It is famous for its coral views. The place is excellent for those who seek solitude and relaxation right in the lap of Andaman Sea. For tourist scuba diving, swimming, snorkeling is the main attraction. Neil Island in south Andaman and Nicobar Island is one such paradise in India. the island is a place which is beyond the imagination ,the beauty is incredible that cannot be defined,with so much to explore. Neil island is famous for its coral reefs and white shores. Neil island is often termed as the coral capital of Andaman. It is the best confined place for the nature enthusiasts,if nature has made you fly high,Andaman and Nicobar islands would not leave you disappointed. the quaint flora and fauna around would leave you breathless; the mystical blue waters of the ocean too. from trekking trips to the beaches, snorkeling,scuba diving,sightseeing, paragliding, sunbathing, lazing around. so Andamans are a fairly fun seeking safe destination, tourism is still in its early stages which makes it almost hassle free. The islands have a tropical climate. There is no fury of hot summers ,no chilling winter,no water clogging or traffic jams.Season for lovers is may to December when forest is lush green and water falls are on their way to emerge,bird watchers can enjoy during the winter times. over all the weather is very mesmerizing here for all 365 days . It is one of the most known tourism places of India due to its loving and favourable kind of weather which makes it unique and major attraction for the tourists ,who want to enjoy some quality time with their beloved ones.